Souvenir shops in Moscow, Saint Petersburg and other Russian cities are hard to pass by when you see these beautiful smiling dolls adorned in golden robes and intricately painted shawls. 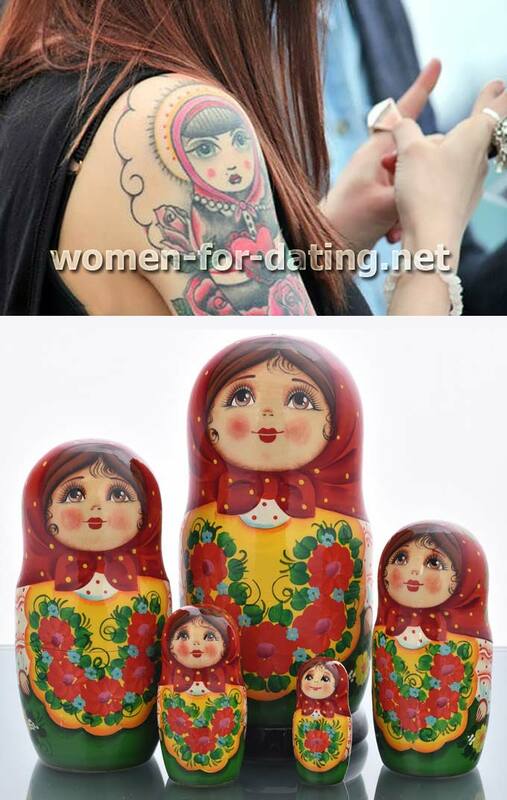 The legend says that the first Russian Matryoshka or Matrioshka was created as a prototype of a similar Japanese doll, which consists of several nested figures. However, the creation of Russian Matryoshka was aided by the Russian tradition of whetting and painting on wooden eggs for Easter. The variety of dresses and characters of Matryoshka dolls is hard to describe. Thanks to the increasing numbers of tourists, who started coming to Russia at the end of 1980-s, Matryoshka has become a popular crafted work again, which is extremely popular on the market and brings a good income to its makers. A more traditional doll will most likely depict a young girl in a shawl, a colorful apron and a Russian dress, sarafan. With a closer look at the dolls one can see the brave combinations of colors, abundance of details, lack of the sense of proportion and an extraordinary festive mood that these dolls bring with them. However, even though the demand for traditional Russian dolls is still high, it has increased for dolls that have a more unusual design, depict celebrities or political figures. The most valuable dolls are those that are painted and crafted by individual authors. The high quality of Matryoshka dolls is achieved by applying old traditions of careful and professional work on every stage. It requires good skills in whetting, polishing, painting and varnishing. - Before buying it, open Matryoshka and close it to make sure that the top of the doll (its head) fits firmly and securely on the bottom and forms no ridge at the junction. Do not buy it if it fits too tightly, as it may crack over time. Do not buy it if it is too loose, as the dolls may accidentally fall out and break. - Explore the surface and make sure there are no soft spots, as some defects inherent in the wood, such as knots, cracks and chips, are sometimes sealed with paper or clay, and can later reveal themselves if the doll is stored in a moist place. - Make sure there are no cracks in the lacquer coating on the junction between the top and the bottom parts, as it may lead to further damage over time. Matryoshka makes one of the best and most unique souvenirs from Russia. They stand for the beauty, variety and warm spirit of Russian women, who inspire Russian artists to create these unique dolls.